SANERGRID will start this 2018 as our new distributor in France. 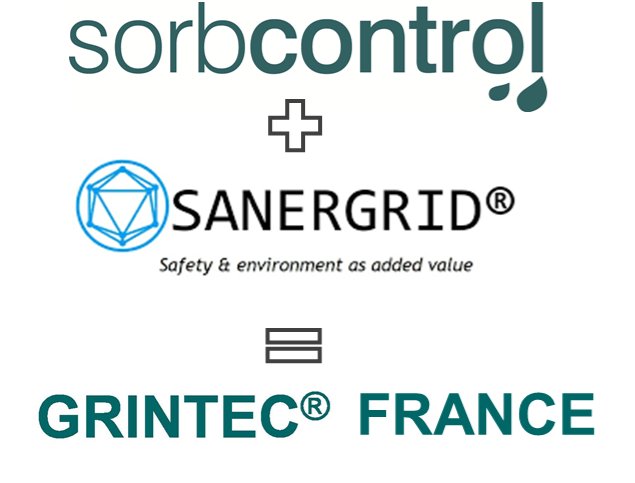 With this strategic alliance, Sorbcontrol will provide a closer and faster attention to our current customers in France. Among the GRINTEC products that Sanergrid will supply we can highlight containment booms, skimmers, safety storage and of course the GRINTEC absorbents.